My favorite conference of the year is coming up this weekend! The CYPD Conference is this Sunday and Monday. Not only is it my favorite to attend, I’ve been luck enough to be on the board that plans this fabulous event. CYPD was my first big library conference, and I’ve been lucky enough to have mulitple conference experiences since then (but still not ALA Annual, that’s the dream). Here are a few tips and tricks to help you have a great time at your next conference! –A large bag, you need one. Be it a tote bag, backpack, or a huge purse of doom, you need something to carry stuff! Vendors will have swag for you (sometimes even a bag!) and you need a way to comfortably carry it around all day. Instead of carrying my everyday purse, I also just pitch the essentials my conference bag. Much simpler and less to keep track of. –WEAR LAYERS. At some point, you will either be too hot or too cold. The group/committee has very little control over the temperature in the building. Bring a sweater. –Bring snacks! Sometimes the conference will have snacks in the budget, other times not. Don’t risk it being a no snack conference! (Especially if you’re prone to hanger.) Bringing some change for a vending machine isn’t a bad idea either. –Divide and conquer. At some point, you will want to go to two conference sessions that are going on at the same time. Unless you have a Time Turner, you will have to pick one of the two. Talk to coworkers and friends who are going to the same conference before you go and see what sessions they’re going to. There’s a good chance one of them is planning on going to one of the sessions you were also interested in. Ask if they’ll share their notes from the session with you. Offer to share your notes with them. Help out your fellow librarian! –Be kind to vendors and speakers. Vendors and speakers travel long miles and put in lots of prep work for these conferences. Be courteous, and please use your manners. Other suggestions? Is anyone else going to CYPD this weekend? LOVED IT! WHERE IS THE NEXT BOOK IN THE SERIES?!?!?! Great historical read. 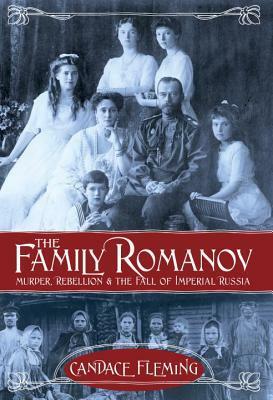 I didn’t realize quite everything that led up to the fall of the Romanovs. This…just…wow. I need the rest of these, please. One of the books EVERYONE should read. Inspiring. Note: I read the edition of Unbroken that is geared toward Young Adults. Meh. Don’t really get all of the hype behind this book. Fabulous, fabulous, fabulous mystery for middle grades. I really want to read this with my tween book club. I really enjoyed this, considering sports books are not my thing. Inspired by a true story. Another great series by Charlaine Harris with quirky characters. Good stuff! SUMMER READING 2015 IS OVER!!!!! I now have to get library back in order and schedule 8 class visits to one school. And finish scheduling Fall programs.